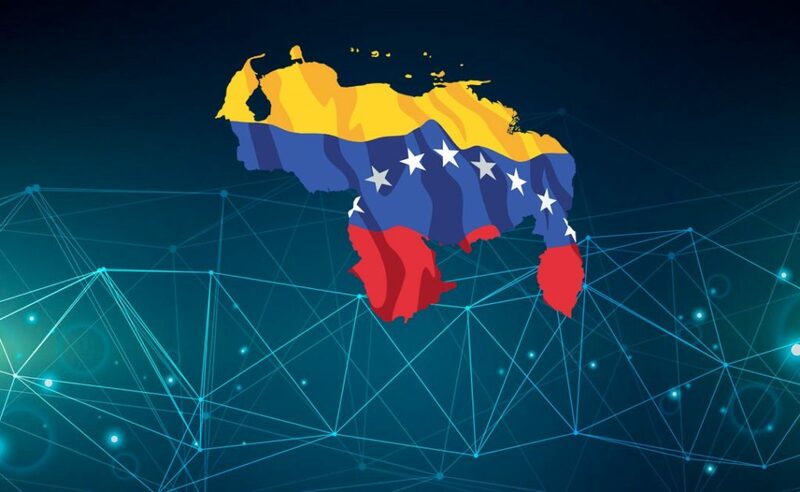 Since Venezuela entered its current crisis, Bitcoin (BTC) and cryptocurrencies have become a popular topic in the nation. Carlos Hernandez, an economist from the Latin American nation, full of conflicts, recently wrote an opinion piece in the New York Times to discuss the issue, explaining why the flagship crypto can be anadequate cover to avoid the hyperinflation that leads to the loss of the purchasing power of the national currency, the Bolívar. In the opinion article, Hernández told his story, affirming with pride that he does not have bolivars. Rather, it keeps all its net worth hidden in Bitcoin, since keeping it in the local currency, projected to inflate by 3.5% per day, which represents more or less 1,000,000% per year, would be a “financial suicide”. Respond to those who question why they do not. To avoid using US dollars, Hernandez said that with the currency and capital controls of Venezuela, it is almost impossible for him to obtain a foreign bank account. Like wise, we mustre member that the Venezuelan state approved the free convertibility of the currency, that is to say that any person can acquire dollars in the financial market through commercial banks, this has brought as consequence that the increase in the prices of the goods and services, have stabilized, before the measure the bolivar / dollar price was imposed by a web page denominated dollar today. But, it is not that it is cut and dried, according to the economist. Hernandez affirms that beforebeing able to buy what he (and probably his family) needs, it is necessary to convert his BTC to bolivars, through LocalBitcoins.com to be exact. The processis simple: send BTC to the deposit, receive a bank transfer denominated in bolivars and run to the store as soon as possible to secure the food. The whole process supposedly takes ten minutes. Not bad. This simple systemh as supposedly saved his entire family, since only he covers the expenses of his family, since his brothers earn income, because they are unemployed, they do not get anything on their own. His brother tried to succeed, emigrating from Venezuela with false expectations in his eyes and the support of his family. But even after he managed to get out alive, the brother, Juan, could not get a decent job in neigh boring Colombia. Therefore, Carlos decided that he had to bring back his brother, sending him Bitcoin to return to the nation involved in a financial and political crisis. And since then, Hernandez has done everything possible to keep his family aflo at and safe. While Venezuelans evidently have a natural propensity to maintain BTC over bolivars, some are convinced that the flagship digital currency could be a hedge against all currencies, even one as “reliable” as the US dollar or the pound sterling. Travis Kling, the director of investments and founder of Ikigai, based in Los Angeles, recently commented that Bitcoin is very similar to an exchange of credit default (CDS) against the infatuation of the Central Bankswith the printing of money. The Central Banks since 1971, when E.E.U.U., eliminated the gold standard, the emission of inorganic money has led the working class to pay the most atrocious tax like inflation, which is not good. The head of Ikigai, who took a sudden U turn at the peak of the cryptography boom of 2017, while taking a red pill to dabble in cryptocurrencies, added that he distrusts the accumulation of debt in the government’s balance sheets. Kling even claimed that the monumental increase in quantitative easing (QE) strategies is “how would the script write” for the adoption of cryptocurrencies, especially those that are completely decentralized, all over the world. For many specialists, global finances are at the doors of another great financial bubble, more devastating than in 2008, the debts are astronomical, there are $ 270 billion, which areunpayable. Hernandez’s recent pledge of allegiance to the Bitcoin cause comes after Alex Gladstein, the director of strategy for the Foundation for Human Rights, turned to Time magazine to praise the cryptocurrency. “For people who live under authoritarian governments, Bitcoin can be a valuable financial tool as a means of exchange resistant to censor ship”. For example, he called attention to the role that Bitcoin can play in remittances, noting that Venezuelans can mitigate the staggering ~ 56% rates charged by financial institutions operating in the nation, while reducing days, if not the weeks of the transaction times. However, this is far from the Bitcoin limit, as the most secure transaction settlement layer in the world will be even more valuable, especially with Lightning Network and protocols of similar caliber. This is very important, it is not possible to forget the fearsome threats that hover over people, workers who generate wealth to large corporations and are the ones who obtain less benefits, governments around the world, simply through the Central Banks print Fiat money, when they want it. The blockchain-bitcoin technology can be a safe haven to cover dark clouds. It is waiting for new announcements. 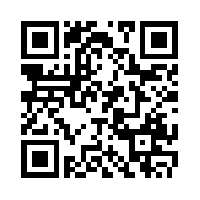 Scientist Deciphers Instructions to Claim Bitcoin In a DNA Sample. Alibaba Subsidiary Reports Successful Use of Blockchain Technology for Logistics Data. Previous story Russia raises regular cryptocurrencies and issue its own version of the Petro. Will Satoshi Nakamoto’s McAfee disclosure affect Bitcoin prices?